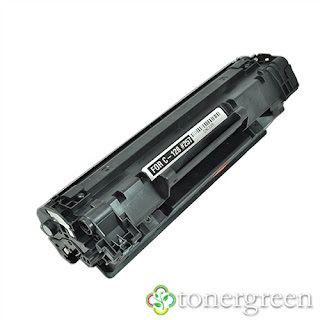 TonerGreen's Compatible Canon 128 Black Laser Toner Cartridge | TonerGreen - Eco-Friendly Toners from the U.S.
TonerGreen is an online store that specializes in eco-friendly printing solutions such as remanufactured/compatible toner cartridges and inkjet cartridges. Including in our full line of printer supplies is our eco-friendly replacement Compatible Canon 128 Black Laser Toner Cartridge. What's really good about this compatible toner cartridge is it only retails at $20.99! Almost 60% cheaper than the expensive original replacement. It's very easy to install with no special instructions needed. Compatible toner works as good as original in terms of page yield and print quality. Practically speaking, cost savings is essential nowadays. Let us help you to save more by choosing our compatible toner cartridges. Not only that - We are so confident in our products that we offer a grand 2-Year Warranty for replacements or refunds. If you're not happy with our product, simply return it to us and we will refund your money or replace your product - Risk-Free (restrictions applied). Using TonerGreen compatible Canon 128 black toner cartridge will not void your printer's warranty according to Magnuson-Moss Warranty Improvement Act. If you are not aware, this law was approved back in 1975 by the U.S. Congress. Thanks to this act that you need not to limit yourself to original printing supplies in order for your printer warranty honored. Make TonerGreen your printing partner today and see how much money you can save!